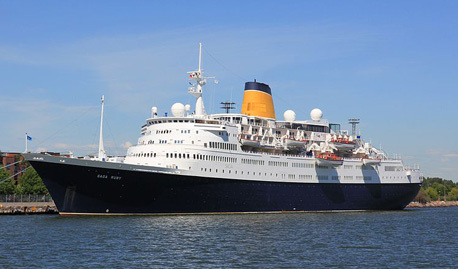 Sad news for lovers of classic cruise ships – Saga Ruby is to be retired. The vessel, which will be 40 years old next year, will be withdrawn from service early in 2014, Saga Shipping is announcing today. The decision will also bring disappointment to fans of the associated Spirit of Adventure brand which looks set to disappear when the ship Quest for Adventure returns to Saga’s fleet and resumes sailing as Saga Pearl II. 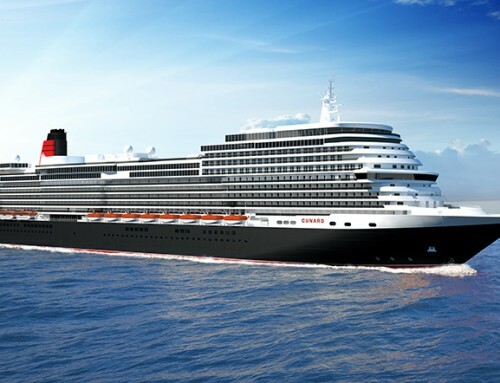 Despite a statement by commercial director James Duguid, who told the recent European Cruise Council AGM in Brussels that a new-build ship was under consideration, a UK spokesman continues to deny there are any firm plans to add to the fleet. Previous passengers and those who have booked to take Saga cruises in the coming months will be informed of Ruby’s fate by letters which should be delivered this morning. Robin Shaw, chief executive of Saga Shipping, said: “Saga Ruby has delighted cruise-goers for some 40 years, but operating a ship of this age to meet the exacting standards we and others set is becoming an increasing challenge. We have therefore decided that she should be gracefully retired in 18 months. Saga Ruby will in her ruby anniversary year visit many of the ports where she been warmly welcomed over the years. Ruby is the last cruise ship to have been built in Britain. The 24,292-ton vessel, originally called Vistafjord, was built in the Swan Hunter yard at Wallsend on the River Tyne for Norwegian America Line. The company was bought by Cunard in 1983, and the ship was re-named Caronia in 1999. Saga bought the vessel in 2004 and spent an estimated £17 million on a refit carried out at Valletta, Malta. For five years she sailed under Saga’s colours alongside sister ship Saga Rose, which was slightly smaller and had been launched as Sagafjord for NAL in 1965. Rose was retired from service in 2009 after completing a record 44 world cruises. Following months of uncertainty she was eventually scrapped in China. Saga Sapphire, the former Bleu de France which joined the fleet earlier this year, was bought for an estimated £37 million and given a £28 million refit. Saga Pearl II had a £24 million refit before entering service with the company in March 2010, and was renamed Quest for Adventure at the beginning of May this year. Saga cruises are restricted to passengers aged over 50 (although travelling companions can be younger). Quest for Adventure accepts passengers from 21 upwards. So what will those of us in our early 50s who want to enjoy superb food, civilised company, intelligent lectures and active, adventurous shore excursions do now? I don’t know, Mr. Trapp, go on the Saga Sapphire or Saga Pearl II instead? It’s all right for you, you’ve probably been on Saga Ruby, while those of us below the age of 50 (I am 42) won’t get the chance. Sorry, Mr Torders, didn’t make it clear I meant the demise of the Spirit/Quest brand of cruising. Sapphire, Pearl and Ruby clientele a little more elderly than the Spirit crowd! Quest (and Spirit before her) takes folk over 21 who don’t like the razamataz, casinos and the like that you find with other lines. Terribly civilised and great fun … and, oh, the afternoon teas! Just my sort of cruise. Our holidays are for anyone aged 50 and over, although a travelling companion or family member travelling with you may be aged 40 or over. For cruises aboard Quest for Adventure, travelling companions can be aged 21 or over. Oh no! Quite shocked to hear this – she will be missed. 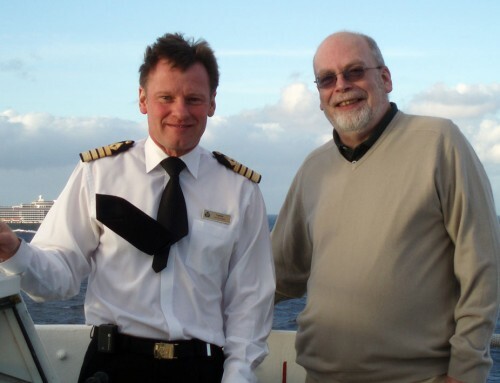 In response to Orsen Trapp – have you been on a Voyages of Discovery cruise? My husband and I have travelled both with Saga and Voyages of Discovery and can firmly say that Voyages of Discovery offer the same superb food, civilised company, intelligent lectures and active, adventurous shore excursions that you seem fond of. We love it. The crew are fantastic. Thank you for this info, CF. We’re on the Discovery mailing list so it’s a possibility for the future. Do they have on-board classical musicians, too? Yes on the Baltic Symphony sailing they do, we went on it in May ’11. Just perfect. It had to happen,1st”Sagafjord” and now “Vistafjord”.I will miss both these “Queens” of the sea and I know a lot of my friends will too. I feel that I grew up with the”Vistafjord” because in 1971 when I worked in Nightclubs in Newcastle I used to regularly pass “Swan’s” in Wallsend and could see “Vista” growing up.Little did I know that in 1981 I would be working on her as a waiter.In 1982 I joined the “Saga”, about this time both ships changed from NAL to NAC.In the mid 90’s I also worked on both ships for Cunard. There will be quite a few tears wept when “Vista” retires to the vast ocean in the sky, what else is there for her? What are the chances of the Saga Ruby becoming a hotel ship like the SS Rotterdam? All the best at the scrap yard! if you would have seen what ive seen on this ship you would agree with me that you should have scraped this vessel 10 years ago. Sadly the Farewell Cruise has not gone according to plan. We sailed late Saturday and all appeared well on the Sunday. On Monday we had to divert to Tenerife because an anti-cyclone had centred over the Azores, our original destination, and to proceed there would have been to endanger the ship. It was quite rough and the ship had clearly flexed so much that there were buckets everywhere in the ballroom and Britannia lounge as leaks had developed in the pressurised cold water system. They were repaired fairly quickly and I assume it was just a case of tightening the joints. We arrived in Tenerife late on Wednesday. The next morning there was an announcement that one of the generators had failed and that there would be no air-con in the cabins until it was fixed and that sail-away would be delayed until 5pm. By now the revised itinerary took out three of the four places we had not visited and I was bitterly disappointed! When we got back to the ship there was a further announcement that the generator could not be fixed within two weeks and that the CEO of Saga shipping and his team were flying out to the ship. 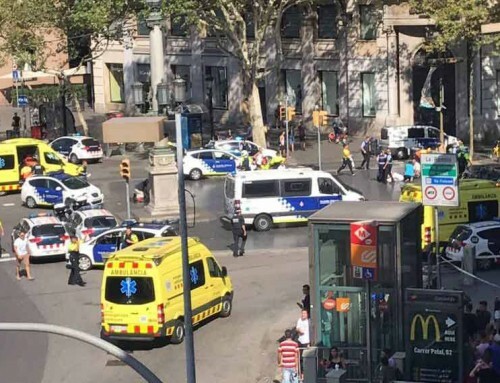 There was a meeting on Friday morning in the ballroom when he aplogised and offered a full refund to those who wanted to return home or a discount of 20% and £200 onboard credit to those who stayed aboard. He pointed out that without air-con the ship could not go south into a hotter climate and a Med cruise would be the alternative. There was uproar and he took some stick. About 40 people expressed the wish to return home and lists were prepared. Most of the 150 singles were prepared to go anywhere rather than spend Christmas alone. He came back 2 hours later and had another meeting. He raised the offer to 40% and showed the new revised itinerary which excluded Madeira and the fireworks. Apparently that upset more than 50% and there was another uproar. 1 hour later there was another meeting and this time the itinerary included Madeira but cut out the only decent stop – Sardinia – which pleased the majority. He added another £100 for warmer clothing purchases ashore (send the receipts to Saga for a refund) as most people had nothing warm to wear, and included wine at lunch and dinner. Digressing a moment, the Sapphire is in uproar as the mystery cruise has gone to Christmas markets, Denmark and Norway, and they were all expecting to go south. Captain Rentell in his usual dismissive manner told them that “if you wanted sun you should have booked sun”! Back to Christmas in the Caribbean (not). I was please to take the offer of a full refund, had my name put on the list, and duly reported to reception 15 minutes before departure to collect my passports and final bill. At 3pm I was told that my name had been accidentally crossed off when someone with a similar name cancelled. At 3.10 we had flights and at 3.15 we left the ship with the three Saga escorts, one of which had a company credit card. The flights were booked with BA whilst the aircraft was en-route having only catered for the booked returnees and so you got either a sandwich or cheese and biscuits with a sweet!! The guy with the company credit card was busy paying for the excess baggage but we left all our bags on board to be delivered to our house when they return. We just took hand luggage. On arrival at Gatwick we were met by a Saga rep who allocated private cars for all of us and ours took me to Southampton to collect my car. There, a frozen car park representative and his grandson (for company) opened the gates for me at 1am and directed us to my car – he knew exactly which one it was and where it was. We got home at 5am. At 10am this morning I accepted a registered letter informing me that a full refund would be made within 10 days into the account it was taken from. You really cannot fault Saga’s reaction when things go wrong and I still feel you can book with confidence. I’m the real Dan Watkins, not sure who this impostor is but no I don’t believe Saga are “total garbage”. I’ve worked with them for just under two years now and been to some amazing places and met some great people.